Scraps Ballantyne Trash Pickup will take care of picking your trash up weekly. We try to do that in as convenient a way for you as possible. Scraps Trash Removal services in Ballantyne NC - we are a community partner and an advocate for those with disabilities. We want to do more than just provide a great trash pickup service in Ballantyne NC, we want to give back to the community and our neighbors. We have the most convenient and reliable company providing trash Ballantyne, North Carolina. Scraps Ballantyne NC trash pickup services a more convenient experience. We have great monthly rates, a set and reliable schedule, and the best customer service for trash removal in Ballantyne, North Carolina. If your not in the Ballantyne trash removal area, you may be in the garbage pickup service area for Clover, SC. For the best trash pickup service in Ballantyne North Carolina, contact Scraps. Scraps Ballantyne trash removal service provides a variety of quality, efficient and cost-effective services including the collection of: bulky waste, garbage, recycling and yard waste. 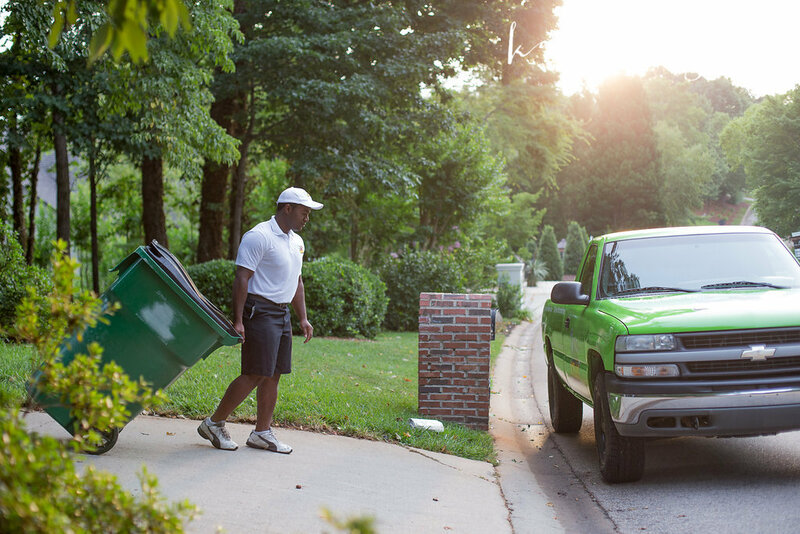 We take curbside trash pickup in Ballantyne, North Carolina a step further. We keep quiet by using a truck and trailer, instead of a large noisy garbage collection truck. Those gargantuan machines are boisterous and far from eco-friendly. Secondly, we'll actually come all the way to your back door for your trash removal, or wherever's the easiest area for you. This way you'll never have to worry about a violation of leaving your trash can out, or forgetting to leave it out in the first place! Scraps has you covered. How much does trash removal cost in Ballantyne North Carolina? Instead of charging you for way more than you want, our trash pickup in Ballantyne, NC offers different size cart plans. Most homes will require the usual 96 gallon Cart Plan, although if you don't have much garbage you may only want a 64 gallon cart plan. Learn more about our Ballantyne trash removal rates.